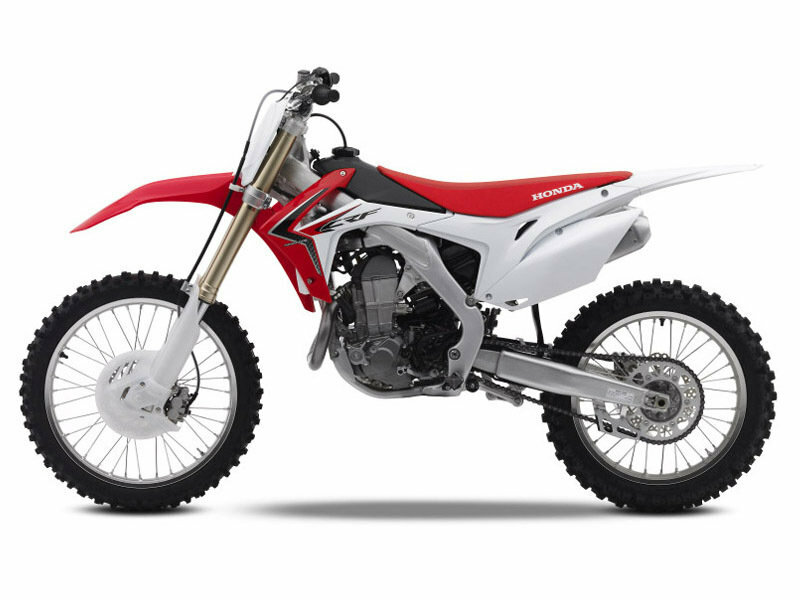 With its unstoppable character and agile allure the Honda CRF450R is able to reward you with an unforgettable riding experience every time you jump on its back. 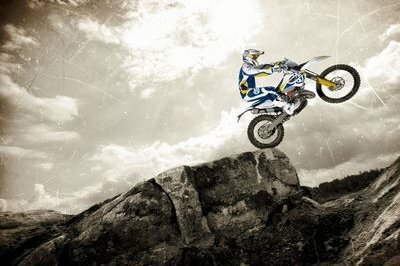 It is built on an advanced twin spar aluminum chassis which is combined with a set of modern air forks offering first class performances in terms of ride and handling. 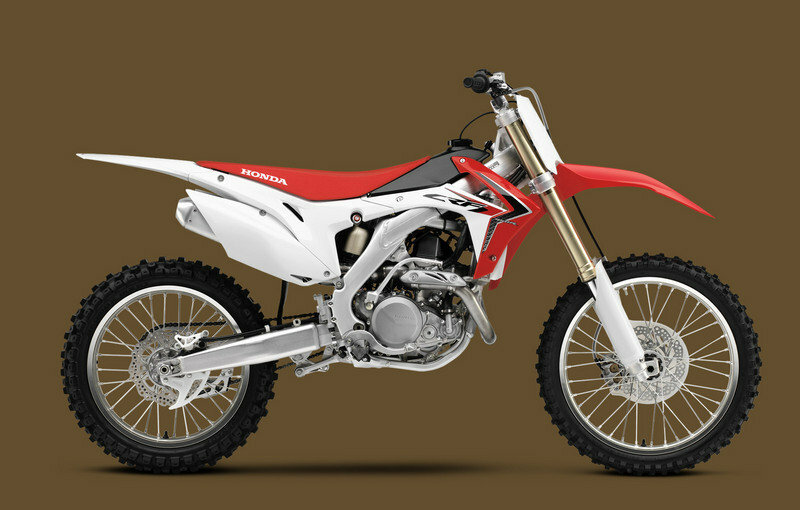 The Honda CRF450R is propelled by a liquid cooled, single cylinder, four stroke engine with a displacement of 449 cc. The engine is kept under control by a close-ratio five speed transmission. As far as ergonomics are concerned, the motorcycle comes with a minimal bodywork that helps you slide around on the seat effortless improving both the comfort and control. 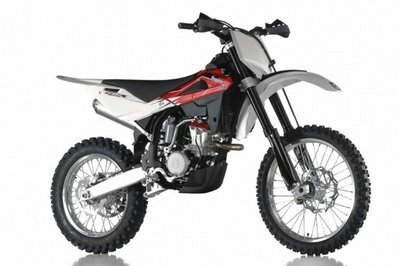 As far as the breaks are concerned, the Honda CRF450R comes with a front single 240mm disc with twin-piston caliper and a rear single 240mm disc. 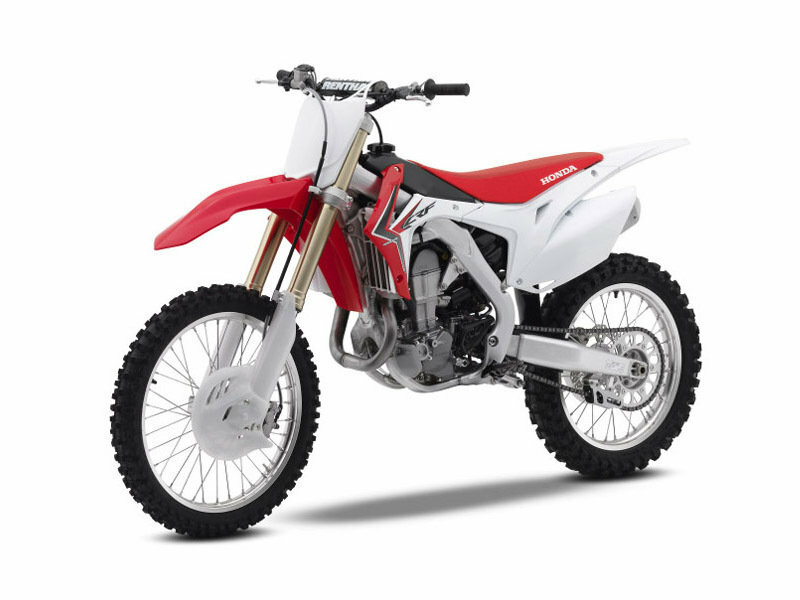 The Honda CRF450R is offered with a base price of $8,699. 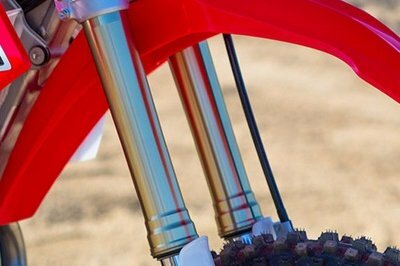 Affixed to the front of our CRF450R is a 48mm inverted KYB PSF (Pneumatic Spring Fork) air fork. It weighs less than a conventional spring fork. It’s a breeze to adjust (just use an air pump). And now with improved oil flow, it’s even more responsive and helps the front end feel more planted. Rather than a single pipe extending outward, our twin-muffler setup is short, compact, and located low and close to the frame to improve mass centralization. And with enhanced exhaust flow, we’ve managed to crank out even more horsepower. 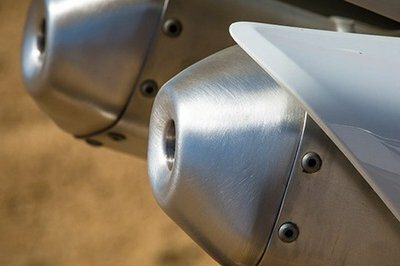 At the center of it all is our next-generation twin-spar aluminum chassis. 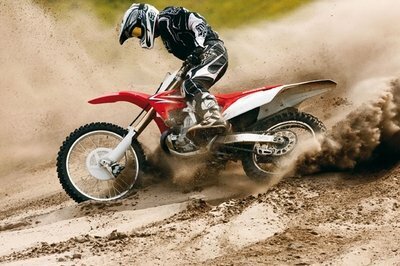 Designed to work with the CRF450R’s air fork, the spars are lower, lowering the center of gravity and improving handling. 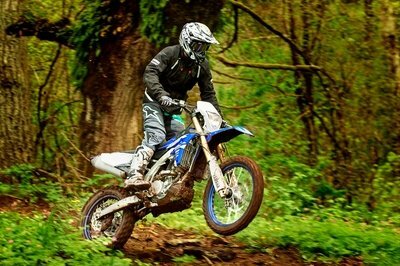 This results in a bike that delivers superior suspension action, steering feedback and chassis stiffness. Our Factory Race Team developed the Honda Progressive Steering Damper to enhance cornering and tracking, while reducing rider fatigue. And if it’s good enough for our race team, it’s certainly good enough for you. 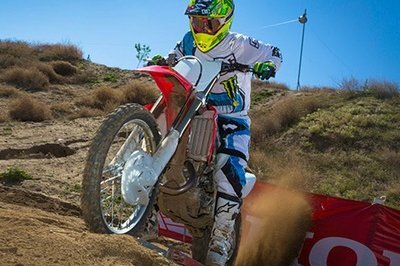 The settings on the CRF450R’s Programmed Fuel Injection improve low- and mid-range performance, and help deliver smooth, predictable engine performance. And with our HRC Fuel Injection Setting Tool, it’s easily adjustable to specific track conditions. 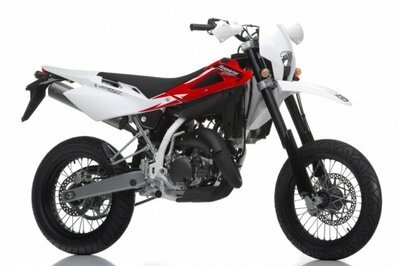 The Honda CRF450R has received major upgrades in 2013 so the previous model year was already a great machine. Luckily, the company didn’t stop there and has decided to spice things up even more with the 2014 model year. Therefore, the new generation comes with further refinements that include a new cylinder head, a fresh exhaust system and dual-stage fuel injection. You also get new fork internal components and pressures. 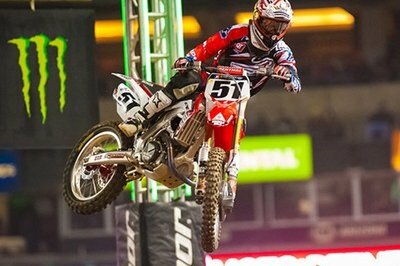 Needless to say that all these upgrades are translated into first class performances which help the Honda CRF450R remain among the top bikes in its class.